A fierce and feisty debut with a magical twist about three ordinary, regular girls who suddenly have their fantasies come true... or do they? Until they come across Pretty, a magic tincture that makes them, well... gorgeous. Like, supermodel gorgeous. And it’s certainly not their fault if the sudden gift of beauty causes unexpected doors to open for them. I was really excited for this book when I first heard about it, it sounded like an interesting premise and I couldn't wait to get my hands on it. After finishing this book, I found my expectations were too high and this book did not deliver what I thought I would get out of it. In the end this book just disappointed me and I had a lot of trouble actually finishing it. The one good thing that I did take out of this story was how these three characters truly learn to love themselves for who they are in the end. 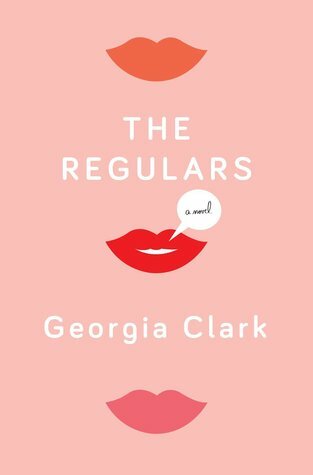 What I really disliked about this book is how a lot of issues come across, these three girls are made to be undesirable women (or at least two out of the three are). I understand that these girls are self-conscious (many women are with how the media portrays people). Once the "Pretty" is introduced and the girls change who they are and their attitudes completely change, they become the worst sort of people (at least that is how it seems). The way they believe that if they look good they can change things because pretty people are taken more seriously. I did enjoy that they get a good harsh dose of reality and see that "pretty" people are actually treated the same if not worse at times. This is a really hard book for me to review just because I had so much trouble getting through the story. I could not connect with the characters at all and I just did not like how people were treated throughout the book, even the way the girls saw themselves and acted after the became "pretty". All in all this was a difficult book that I sadly cannot recommend.